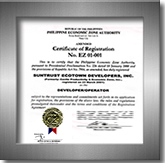 all local and national taxes is applicable. 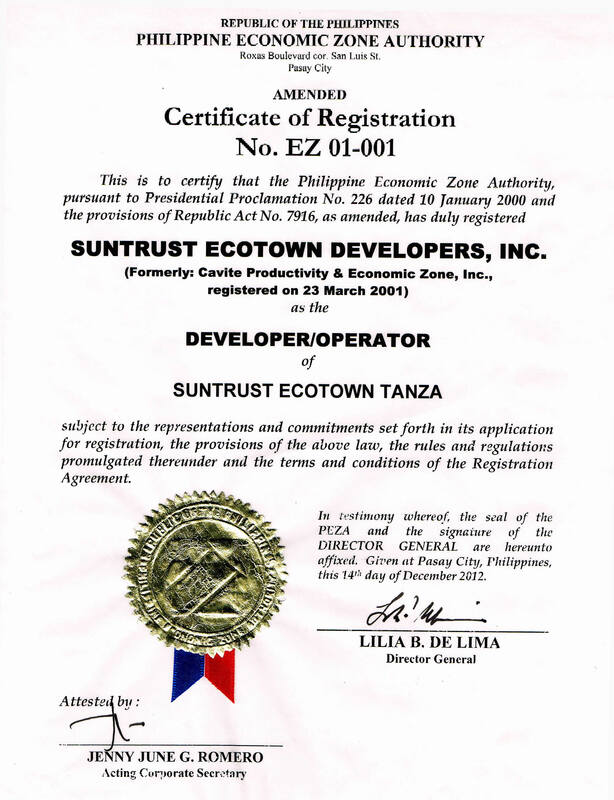 ü	Zero expanded withholding tax. 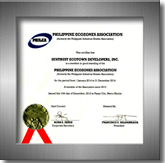 Industrial park developments accredited by the Philippine Industrial Estate Association (PHILEA) are assured to be world-class industrial estates. 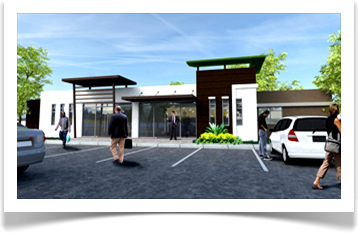 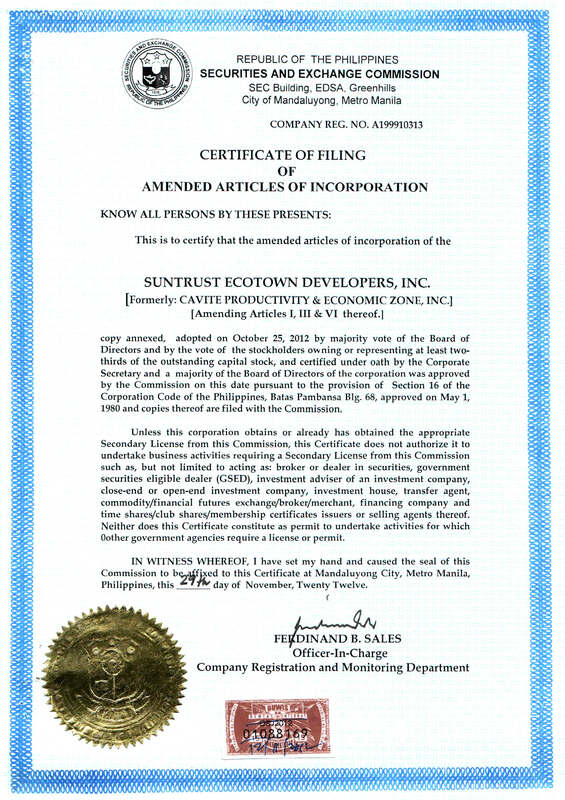 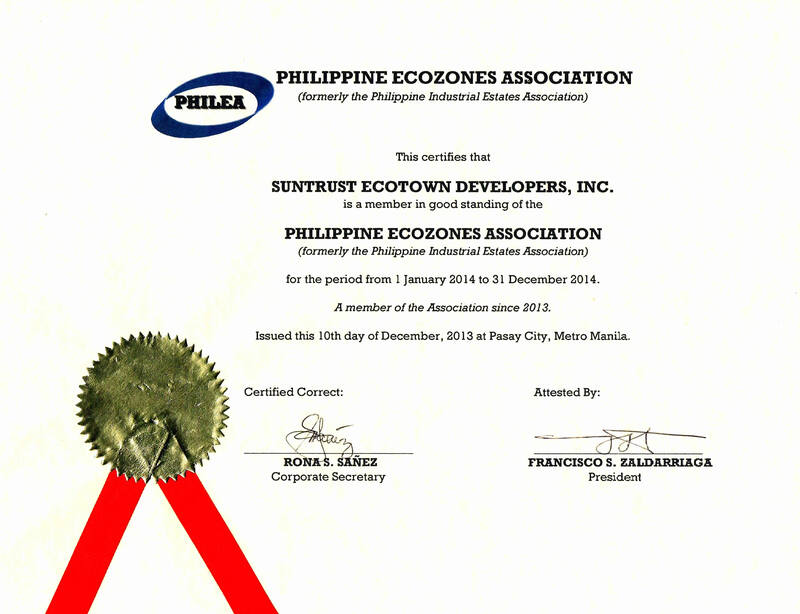 Industrial estates, including the SUNTRUST ECOTOWN TANZA, managed by PHILEA-member companies are assured to be masterfully planned and located in key development areas in the Philippines. 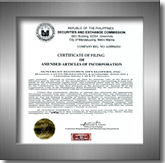 Securing from deceit, misrepresentations, and other fraud in the sale of securities, upon SEDI's registration to SEC the public can be assured of the legality of the corporation and its financial stability.